Delicate lace applique defines the Cressida wedding dress, featuring an asymmetrical one shoulder atop sweetheart bodice, flowing through to floor length tulle. 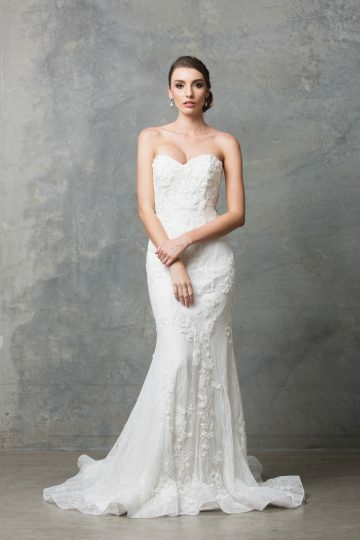 Turn heads on your special day in the captivating Tania Olsen Designs Cressida wedding dress. 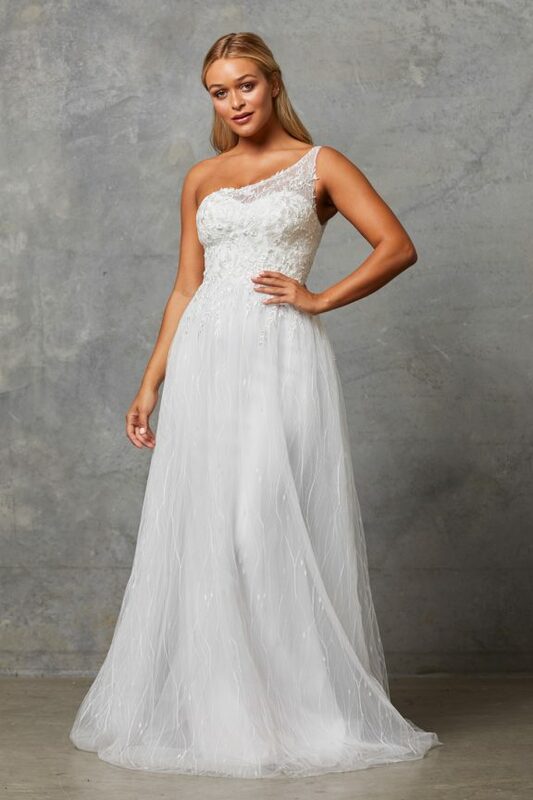 A one shoulder, lace applique feature and sweetheart cut bodice create a truly beautiful silhouette, which then flows through to a soft, floor length tulle skirt. 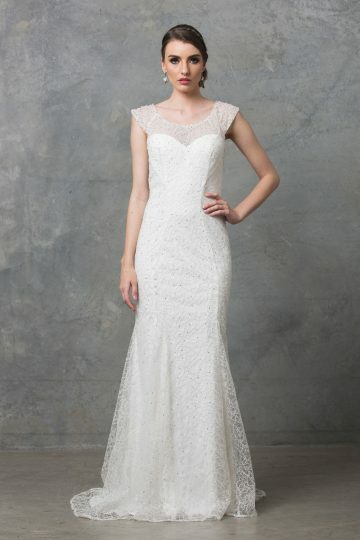 This wedding gown by award-winning Australian designer is flattering for a range of shapes and sizes. Contact your nearest stockist to try on this beautiful bridal gown.